You are being given 2 visions of the future of the earth. The kingdom of the Divine Will of my Father, or the kingdom of Satan, allowed by my Father, as a chastisement for rejecting my mercy. The holy scripture, describes these kingdoms to you. The final fulfillment of this prayer will take place at the end of human history. This is when I will return in the flesh for the last judgment. Death, hell, and all those who reject my mercy will be cast into the pool of fire for eternity. The righteous, or those who repented and accepted my mercy, will live with the Holy Trinity for eternity, in the eternal eighth day of creation. This is my desire for all of mankind. The reason I was born was to destroy the works of the devil (1 John 3:8) and redeem mankind from sin and separation from the Divine Will. In the beginning, the Divine Will created man in the image of God. 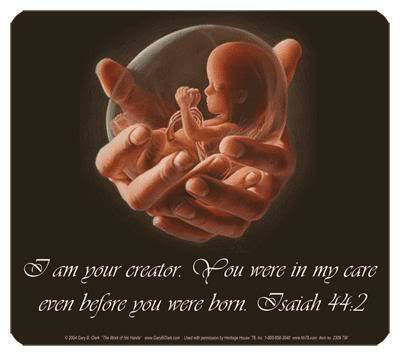 And God created man to his own image: to the image of God he created him: male and female he created them. (Genesis 1:27). But the first humans, Adam and Eve believed the lies of Satan and rejected the Divine Will. Henceforth, sin and death came into your world. Human history is the result of mankind rejecting the Divine Will of the Holy Trinity. Wars, famine, natural disasters, and disease are a result of the rejection of the Divine Will. But the Divine Will loves humanity so much, I, the second person of the Divine Will took on human flesh and became man. The gift of the Divine Will is given through repentance and forgiveness through my Divine Mercy. Then, you are living as the Divine Will created you to live. I instituted my church, The Holy Catholic church as my messenger to the world. For I am Jesus the head of the church. The Holy Catholic church brings the Divine Will to mankind through its teachings, sacraments, and prayers. To those who are not Catholic or do not know me, I say to you, I am, Jesus, The Divine Mercy of the Divine Will. Repent, ask for forgiveness of your sins, and pray to the Holy Spirit who will guide you into all truth. 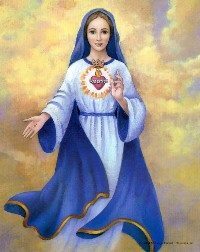 I have given you my Mother Mary as an intercessor for you. 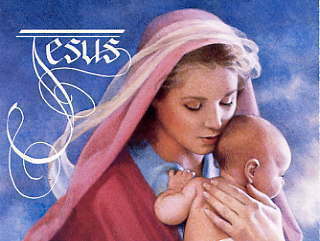 Pray to her, for her mission is to lead you to her son Jesus. If you do not know how to pray, simply say, Lord be merciful to me a sinner and receive my mercy and forgiveness. The fulfillment of the Divine Will is to dwell in the souls of mankind. This is our desire. Is this your desire? There will be no peace on earth until mankind acknowledges and accepts the Divine Will. The sins of your generation, without repentance, will bring the justice of God on your earth. This will be a punishment for rejecting the Divine Will. An event will happen which will be a warning to mankind to repent and accept the Divine Will. This has been called the warning or illumination of conscience. This verse describes the warning. All of humanity will see my cross and suffering in the sky. At that moment, every person will see their sins and the current state of their soul. Also, your eternal destination and judgment will be revealed to you, as if it occurred, at that moment. You will then know the truth of the Divine Will. You will be given an opportunity to repent. If you repent and accept my mercy, your sins will be forgiven. This event will take place because of my Divine Mercy and Divine Love for each person who is alive on your earth. If mankind refuses the Divine Mercy of the warning, a chastisement greater than the flood will occur. My Father will allow Satan to establish the kingdom of an antichrist to punish mankind for rejecting the Divine Will. Your nations will be subjugated, your freedoms lost, with persecution and death to all who oppose this satanic kingdom. The demons of hell will be unchained and then My Father will cause the earth to undergo three days of darkness whereby the world will be cleansed of sin and the powers of hell. All those rejecting the Divine Will, without repentance, will be cast into hell until the final judgment. After the three days of darkness, the era of peace and the kingdom of the Divine will, will reign on earth as it is in heaven. The Divine Will gives you the same choice today. Reject the lies and the false gods of your day or face the justice of the Divine Will of the Holy Trinity: Father, Son, and Holy Spirit. 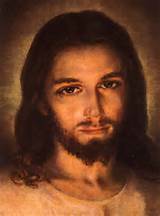 The Divine Mercy and Divine Love of Jesus Christ brings these words to you today.